After the sad news back in August that New York City’s already-delayed bike share system—Citibike—would be delayed until the spring of 2013, we’d almost forgotten about the thousands of bright blue bikes that have been in storage at the Brooklyn Navy Yard while computer glitches are worked out. 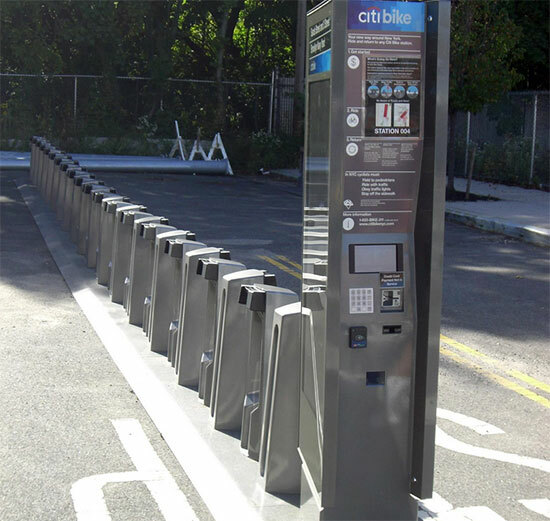 The apparently-cursed bike share system is back in the news, however, as the New York Times reports that some of the equipment was damaged during Hurricane Sandy when the East River inundated waterfront Brooklyn. Floodwaters up to six feet deep apparently damaged program equipment including the docking stations, but the NYC Department of Transportation would not comment on the extent of the damage or whether it would cause further delays in launching the system. DOT Commissioner Janette Sadik-Khan told the Times, “We’re working on it.” Some believe the electronic design of the docking stations could make them especially vulnerable to flooding.